Dancing, shopping, and parades fill the five-day gathering. 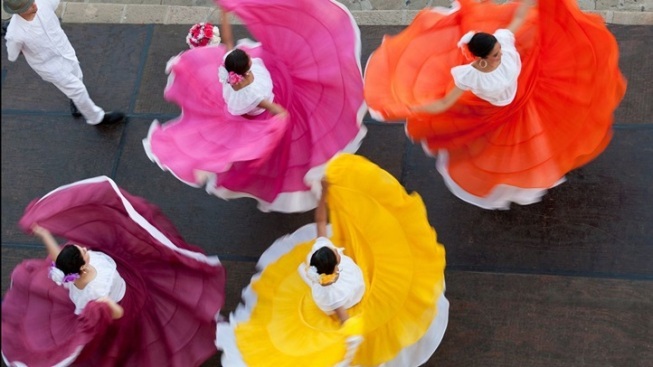 Old Spanish Days twirls in Santa Barbara from Wednesday, Aug. 3 through Sunday, Aug. 7. FIVE-DAY FIESTA, one that boasts a brimful list of must-sees and will-enjoys each day. La Fiesta Pequeña is the opening night welcome at mission, one that includes "traditional songs and dance from Californios, Flamenco, Spanish classical, and Mexican folklorico" (Santa Barbara will also stop by the proceedings, too). The Nights of Gaiety, or Las Noches de Ronda, is a free dance-and-more favorite at the courthouse's Sunken Gardens, while the merry mercados dot nearby locations. There's rodeo, a stock horse show, and the Children's Parade, and Casa Cantina, a go-to for beverages and eats. Docent tours of both the mission and the courthouse lend further historical dimension to one of the Golden State's most past-present parties. WANT TO ATTEND... a fiesta so fabled and long-running it will soon mark its 100th before we know it? The schedule really is as pretty and full as a mission garden in bloom, so plan before catching your train to Santa Barbara.